Yup. A crazy idea. 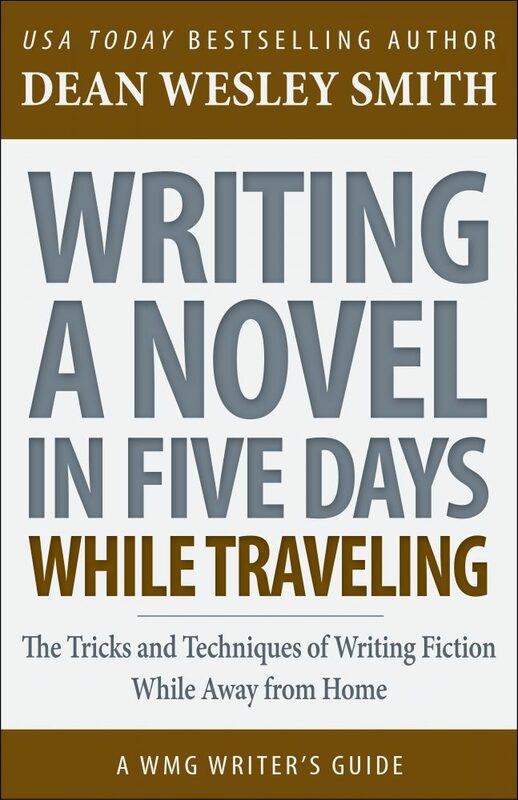 Especially considering I have not once been successful at writing while traveling. How’s that for a negative start? So I figured it was about time to teach myself how to do this and as I figure it out I might as well write this nonfiction book as well as the novel. Win… win… If I pull it off. Otherwise, it will be an entertaining failure for you all to watch right out here in public. And what’s really silly is that I will be doing all my normal e-mail, normal workshop stuff, and still doing the CFO job for WMG while I am gone. I will be cutting nothing out. Yup, nothing will seem different from your end except the content of these blogs. So if you have questions or want to sign up for a workshop, feel free. I will be doing all my normal computer work every day, three times per day. Today is Sunday and I will not start the novel until Wednesday. But I am doing these nonfiction introduction chapters each night ahead of that while traveling. My first consideration in getting ready for something this crazy is that I do not have a laptop computer. I have an old iPad, but don’t use it much at all anymore. I use massive Mac computers with second screens. I have three set-ups like that. One for my internet at home, one for my writing computer, and one in my WMG office. So as this trip got near, we thought about buying me a laptop and then carrying a second screen and keyboard with it. Good idea until I realized how silly that was. I would be carrying a second screen, so I could just carry my large Mac just as easily. So this morning around 10 a.m. I put a pillow in the back seat of my car (a very smooth-riding Cadillac CTS) carried my big internet computer out and put it on the pillow, screen toward the seat. Put another pillow between the screen and the seat and then covered the entire thing with a blanket and strapped it in with a seat belt. Easy and it rode like a charm. The real advantage of driving: I can pack as much as I want. And I don’t much care for flying these days, so driving is more fun anyway. So now I am sitting in front of my big internet computer in a really nice hotel suite somewhere south of Eureka, CA. I have just finished doing all the work for the coast anthology workshop and got out the next story for the writers to write. And I have answered all my e-mail earlier and am now writing this introduction. This desk and chair is actually as comfortable as my chair at home after I put two pillows under me to get me to the right height. I think trick number one in trying to write while traveling is to be comfortable. If you normally write on a laptop, do that. I normally write on a big screen, so I am doing that. If I had to fly, I never would have considered doing this. Since I am doing this blog every night on how to do this (or how to fail at it in spectacular fashion) I had Allyson and WMG mock up a cover for this nonfiction book. That is for decoration here and also to keep me motivated. Second, since I never write with any outline or anything, I figured I would at least pick a title and a series to write in to give myself a jump. 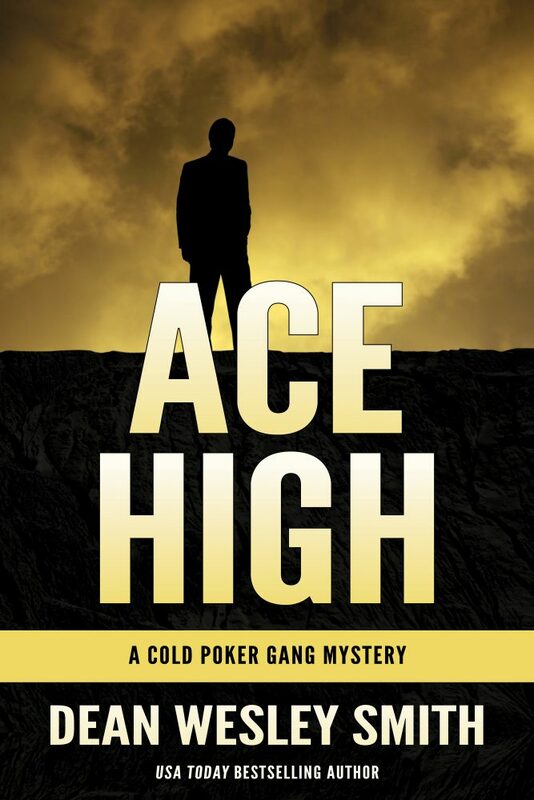 And since all five days of writing this will be while I am hanging around with friends and playing poker in Las Vegas, I might as well pick a series set in Vegas. The two characters in the last novel live about three blocks from where I will be staying, so that will be fun. I came up with a title for the novel and Allyson did a mock-up cover for me which I really, really love. I have no plot or even idea for the book and won’t until I sit down to write. Not even going to give it a thought. But if you are trying something like this, might be an idea to plan ahead a little or work on a project you have already started. So now, after nine hours of driving today, I have another nine hours tomorrow and then a bunch of assignments for workshops to do. Since this is a book about travel, I figure I had better detail out each day a little. I left Lincoln City on the Oregon Coast about 10:30 a.m. Storms were burying Portland and the I-5 corridor in ice and I-84 was shut down. So my only safe choice was to hug the coast going south to stay out of most of the mountains. I stopped four times along the way, once in Newport, once in Florence, once in Coos Bay, and once in Eureka. Took about nine hours. In the summer that would be a two-day drive because of traffic, but thankfully had none today. No one was stupid enough to be on the roads today but me, I guess. The drive down the Oregon Coast was stunningly beautiful, even in the winter and pouring rain. I forgot how really beautifully alien and remote this part of this country is. If you have time, worth seeing, folks. But caution, this is a long, long ways from anywhere. Checked in, got my computer set up, got some snacks to eat, did my e-mail, and then watched television for a while until it was time to do workshop stuff and then write this. So tomorrow another nine hours of driving. I will have chapter one of this nonfiction book tomorrow night from farther south on this crazy trip. Very cool to finally know what the challenge will entail. Good luck! I am so excited to see you do this endeavor. For years, I have drug my laptop on trips and failed at writing. In November, I finally succeeded over Thanksgiving to actually write every day. Now, I am facing a trip to the UK. I am not taking my laptop because it really is a vacation/sight seeing trip. However, I do want to work with my words to capture the experience. I am going to take a leather bound journal. It is so pretty I hope that inspires me to write. I am also going to take a recorder. While my sister drives, I can talk. I am good at that:-) Anyway, I am excited to see how this works for you and gain some great tips. Sounds like a fun trip. Going to Vegas are you? I have relatives in Eureka, and I’m here in Redding just over the mountains. I don’t know what route you’ve chosen, but we had a bunch snow 2 days ago in Redding and then rain all yesterday. So not sure about how going over the mountain is going to be for you. You might go further south towards the bay area before cutting over. Go through the redwoods on the way down! 5 days though? That’s 8k a day. Doable for someone with your mind, attitude and experience. But goddamn! It’s going to be rough. Not fun to do, but fun to have done. This whole post makes me smile. I love it when you do daring and crazy things, Dean–because they always seem to work. I love this idea! Travel plans frequently interrupt my writing. I’ll be following for some tips and inspiration. You are more disciplined than I while traveling for sure! Every time I take the train to NYC (about a 3 hour ride for me with all the stops) I bring my laptop and promise I’ll bang out all kinds of words there and back. It never fails that I end up talking to the person next to me or the person across the aisle though. Then I walk around Manhattan with my laptop bag wishing i left it home! I wrote my first novel while traveling, over the course of about a month across two continents. Traveling is great for writing as far as I’m concerned, especially by air. So much time spent waiting around, I just pulled out my notebook and started scribbling. Yeah, I wrote long hand. Mostly because of weight and convenience. Transcribing it was an enormous pain though, so next summer I’ll get a tablet and a keyboard. But I also get very uncomfortable if I think someone is reading over my shoulder, so I loved that my handwriting may as well be encrypted to anyone else. I wrote in rain-forests and deserts, airport lounges and planes. In the back seat of junker minivans, and lying on the beach. It was an almost out of body experience. The outside of normal that the travel experience provided really helped me put aside many of my fears and preconceived ideas about writing a novel. And when I got home and transcribed it, I had a real, I can’t believe I just did that, novel. Honestly it still feels like magic. So yay for the novel writing while traveling. IIRC you did something similar some time ago and took your computer with you. That time the computer fell down the stairs (again IIRC). I hope that doesn’t happen this time. Have fun! Fun! I’ll settle in with some popcorn and watch the trip/novel unfold. I have been using my iPad mini to do a lot of the input on my current ms. I have a keyboard cover for it, but mostly I just tap away at the screen. Part of that is because I take it to bed with me (confluence of plugs and charging distance and the bed) but also because having it within reach means I can keep up if they won’t stop talking. I’m good with it. No games or social media on it. Also, music and music podcasts so I can shut out the world while I work. I do have an iMac (I call the big ones picture windows) and because I don’t have tv it functions as my video playback more than a work computer. I use my MacBook Air for that when I’m not using the iPad. I’m a train person myself. Before I moved from Chicagoland to Minnesota, I used to come up on the Empire Builder, which goes out to your neck of the woods. The scarcity of plugs within the Amtrak universe kept me from using any electronic device without battery backups and the motion of the train itself put paid to any idea of writing by hand. So, I’ll be interested to see how well you answer this challenge. I have faith that you’ll make it. Writing on airplanes is a great use of time for me. It was especially useful during the years my work had me traveling 1-3x a month, some of those trips trans-Atlantic. I’ve written whole portions of non-fiction books in the air, plus blog posts, essays, novel chapters, and short stories that way. As a person who likes to work in cafes a few times a week –and who has written in public spaces since my teens– writing in the air is no different. I put a song on low, and on repeat, pop my earbuds in, and start typing. If I’m really tired from travel and other work, I may only get one hour in, but that’s still 1200-1500 words I wouldn’t have otherwise. Being immersed in writing makes the flight go quickly, too.